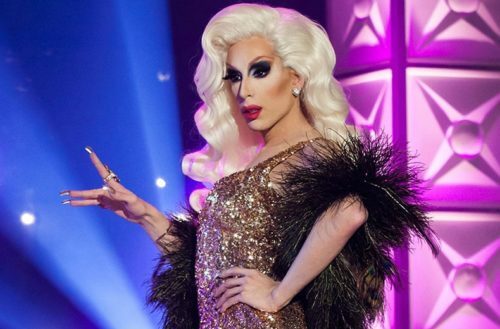 This Friday, RuPaul picks a winner for season 9 of RuPaul’s Drag Race. We asked former winners to share with us their advice and tips for the next crowned queen. I once watched a Ted Talk on an airplane where the expert discussed how success is as disorienting as failure. She had written a best selling book and by the looks of it everything was going swimmingly for her. However, her success forced her to face moments of extreme doubt, as she knew her next book could never live up to the success of her last one. Her feelings of, “What now?” were debilitating. She had to go back to square one, and get back to the things and people that were truly meaningful in order to find lasting happiness and peace- much in the same way she had to when she was a penniless writer with a flop on her hands. I’ve lost RuPaul’s Drag Race and I’ve won RuPaul’s Drag Race– and I can tell you the feelings aren’t all that different. So to whoever is crowned — and to whoever is not — I offer this: Remember the people who were there for you before you were a Ru Girl and keep them close. Remember why you started doing this crazy thing called drag, and remember that it’s nothing short of a miracle that we live in a world where we get to do this for a living. Be nice. Be on time. And always tip your barista.